The CDC has posted a preliminary transcript, and the audio file, from yesterday's Zika Briefing by the CDC's Director Dr. Thomas Frieden, who was joined by Dr. Denise J. Jamieson, Dr. Paul Mead. And Dr. Julie Villanueva of the CDC, and Dr. Luciana Borio of the FDA. You can read the transcript at the link below (note: The date is wrong in the header, this is from Feb 26th). Tuesday, February 5, 2016 at 1:30 pm E.T. One of the topics in this press briefing is the development of a new diagnostic test for Zika, called Zika IgM Antibody Capture Enzyme-Linked Immunosorbent Assay (Zika MAC-ELISA), which is designed to detect antibodies to the virus that develop a week or more after infection and persist for a few months. This test is new, and has some limitations (see below), but should help improve the ability to test people who may have recently been infected with the Zika virus. In response to a request from the Centers for Disease Control and Prevention, the U.S. Food and Drug Administration (FDA) today issued an Emergency Use Authorization (EUA) for a diagnostic tool for Zika virus that will be distributed to qualified laboratories and, in the United States, those that are certified to perform high-complexity tests. The test, called the CDC Zika IgM Antibody Capture Enzyme-Linked Immunosorbent Assay (Zika MAC-ELISA), is intended for use in detecting antibodies that the body makes to fight a Zika virus infection. These antibodies (in this case, immunoglobulin M, or IgM) appear in the blood of a person infected with Zika virus beginning 4 to 5 days after the start of illness and last for about 12 weeks. The test is intended to be used on blood samples from people with a history of symptoms associated with Zika and/or people who have recently traveled to an area during a time of active Zika transmission. The FDA can use the EUA to permit use, based on scientific data, of certain medical products in certain circumstances, including when there is a determination, by the Secretary of Health and Human Services, that there is a significant potential for a public health emergency that has a significant potential to affect national security or the health and security of United States citizens. As there are no commercially available diagnostic tests cleared or approved by the FDA for the detection of Zika virus infection, it was determined that an EUA is crucial to ensure timely access to a diagnostic tool. CDC’s Zika MAC-ELISA is the first diagnostic test authorized for use in the U.S. for the detection of Zika virus during this situation in which there has been a determination that there is a significant potential for a public health emergency that has a significant potential to affect national security or the health and security of United States citizens living abroad and that involves Zika virus. Results of Zika MAC-ELISA tests require careful interpretation. A positive test result indicates that a person was likely infected recently with the Zika virus. However, the test can give an incorrect positive. These false-positive results can occur when someone has been infected with another closely related virus (such as dengue virus). When positive or inconclusive results occur, additional testing (plaque reduction neutralization test) to confirm the presence of antibodies to Zika virus will be performed by CDC or a CDC-authorized laboratory. Moreover, a negative test result does not necessarily mean that a person has not been infected with Zika virus. If a sample is collected just after a person becomes ill, there may not be enough antibodies for the test to measure, resulting in a false negative. Similarly, if the sample was collected more than 12 weeks after illness, it is possible that the body has successfully fought the virus and antibody levels have dropped below the detectable limit. As with any test, it is important that health care providers consult with their patients about test results and the best approach to monitoring their health. 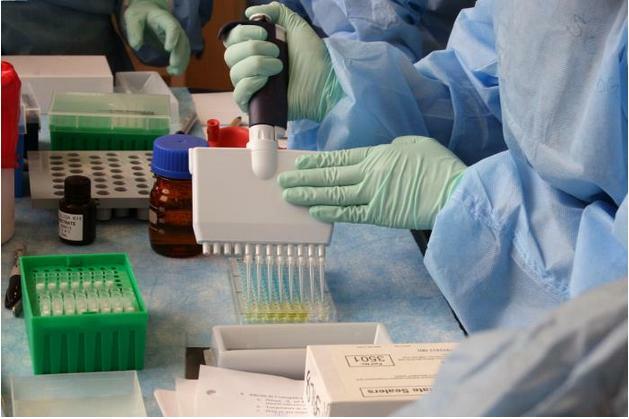 CDC will begin distributing the test during the next two weeks to qualified laboratories in the Laboratory Response Network, an integrated network of domestic and international laboratories that can respond to public health emergencies. The test will not be available in U.S. hospitals or other primary care settings. Public health officials anticipate that distribution of the tests will improve laboratory testing capacity for Zika virus in the United States.